With the MESA BOOGIE Fillmore 50 series, the renowned amp manufacturer from Petaluma, California, presents classic amps with traditional vintage voicing. Two identical channels with innovative 3 mode channel cloning technology offer the complete sound palette from clear clean to saturated soft clipping drive sounds to expressive high gain. In addition, the Mesa Fillmore features a power reduction to 25 watts for lower volumes and an earlier breakup point, while the classic tube-driven spring reverb can be adjusted separately for both channels. If you want to work reliably with the breakup point of the MESA Fillmore 50 at lower volumes, you can use the power switch on the left side of the front panel. 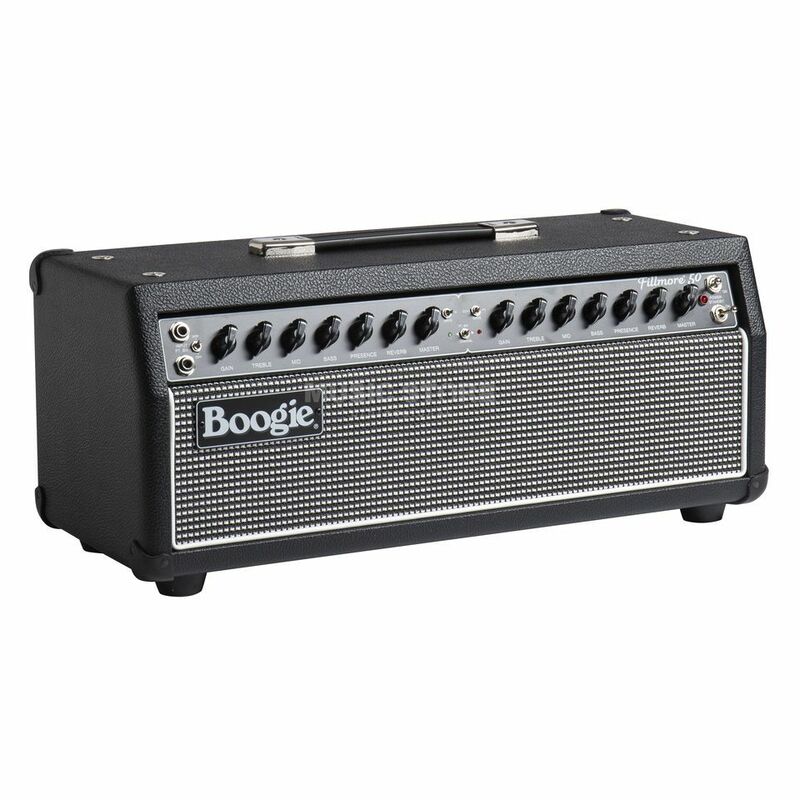 This halves the output stage power to 25 watts and switches to Class A/B triode operation, which means that even at lower output power the output stage equipped with two 6L6 tubes produces rich and full sounds. Above is a classic tube-driven spring reverb known from traditional vintage amplifiers, with separate controls for both channels on board. The sound basis of the MESA Fillmore 50 consists of three different voicings that can be switched separately for both channels. In clean-setting, the Fillmore's pre-stage usually remains clear and, with its large headroom and late breakup with open gain, offers the ideal basis for pedalboards. Creamy soft clipping leads of blues and rock up to juicy tugging SRV sounds are the metier of drive mode. In hi-mode, the Fillmore 50 takes all the distortion reserves from its fivefold 12AX7 configuration to skillfully produce modern metal sounds with the traditional gravure printing of well-known Mesa bolides.